RSPE Audio Solutions have just released another free Pro Tools | S6 tutorial with Gary Lux, showing you how to navigate soft key banks using the numeric keypad. 422 has installed two Pro Tools HDX systems each with an Avid Pro Tools S6 M10 16-fader control surface from Mediaspec UK. 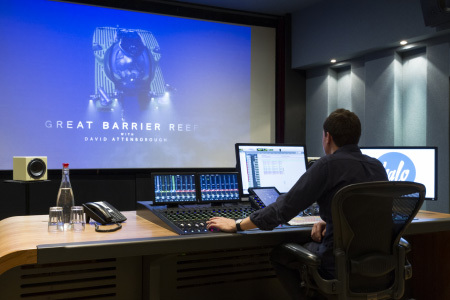 Post-production house Goldcrest Post Production has chosen an Avid Pro Tools S6 control surface for its newly-opened Dean Street Theatre 1, a purpose-built Dolby Atmos mixing theatre based in central London. 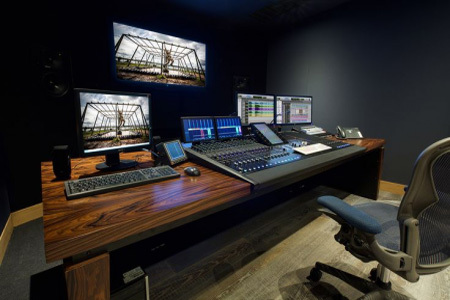 Goldcrest’s Soho facilities are now home to three Pro Tools S6 control surfaces that have been supplied by Scrub, a division of HHB Communications. RSPE are going to be releasing weekly tutorial videos on the Avid S6 with Gary Lux. In the first video, Gary will be demonstrating Locking Strips, which is a feature added in software v2.2. Avid, the makers of Pro Tools, today announced that it has sold its 1000th Avid Pro Tools S6 control surface to Sony Pictures Post Production Services. Got a D-Command and wondering whether an Avid S6 will do what you need? Check this interview from UK based dealer Jigsaw24 who caught up with OSCAR and BAFTA award winning sound designer and re-recording mixer Niv Adiri of Sound 24 and tells us what he loves about his Avid Pro Tools S6 equipped studio. Scrub, the post-focused subsidiary of HHB Communications, supplied the audio equipment for a new, multi-theatre Deluxe Media Audio facility in Perivale, north-west London, including a 10 foot wide Avid S6 control surface. 16 fader S6/M40 in Abbey Road Institute. 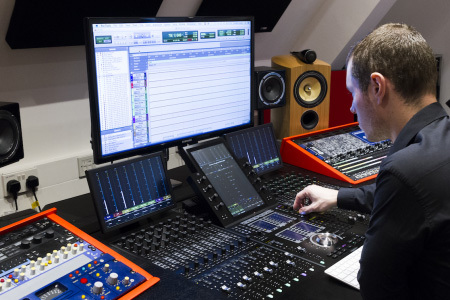 Since Jigsaw24's appointment as an Avid Elite Reseller for Audio in July 2015, they have been quietly succesful in supplying Avid Pro Tools S6 control surfaces. They have installed them in a number of the UK’s premier audio production facilities, including: Abbey Road Institute, Airborn Productions, Evolutions, Halo Post, Splice Post and Sound24. The updated RSPE Avid Pro Tools S6 Configurator tool now includes all the 3rd party modules available for the Avid S6 including the TacSystem VMC-102 and Colin Broad TMC-1 monitor controller modules as well as the post module, and the joystick module. Our friends at RSPE Audio Solutions recently supplied Sony Pictures Post Production Services with the largest Avid S6 control surface installed anywhere to date. Installed in the 158-seat Anthony Quinn Theatre, the dual-operator, 22-foot long control surface features 48 faders in each section, along with 12 meter displays, two sets of dual joysticks and two bias panels. The control surface is supported by four Pro Tools HDX2 players and two Pro Tools HDX recorders and is connected via high-speed Ethernet to editorial rooms and other facilities on the Sony Pictures lot. We asked Tom McCarthy who is Executive Vice President at Sony Pictures Post Production Services what he thought about the Avid S6. "The S6 is a very powerful and intuitive system. It allows mixers to work more efficiently and fluidly. Most importantly, it enhances their ability to work creatively with sound and build groundbreaking soundtracks. Our artists are very excited to have access to this new tool". RSPE Sales Executive, Dave Szpak is just a little pleased with the whole project. "It was exciting to be a part of this project and to help provide Sony Pictures with this impressive S6. As usual, it was a pleasure working with everyone at Sony Pictures, and it's great to see the S6 in the Anthony Quinn Theatre." To learn more about the Avid S6, check out the RSPE Audio's S6 Microsite. Avid S6 Coming Of Age In Film Post Production? Although this isn't the first dual operator Avid S6 to be installed, it is currently the largest. It marks the coming of age of control surfaces in the block buster movie workflow. 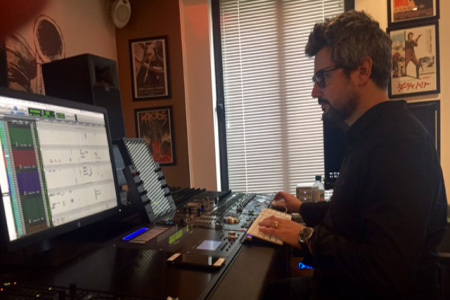 If you would like to know more about how the workflow and production times can be improved, then take a listen to our Pro Tools Expert Podcast Extra interview with James Mather who was Supervising Sound Editor On Mission Impossible - Rogue Nation. James and I talked about the ground breaking work that took place when it was decided to take 6 months out of the post production schedule to bring forward the release date, and how mixing in box, and a flexible team made this possible. In this Avid S6 v2.0 tutorial, from partner brand RSPE, Gary Lux demonstrates Knob Expand Zones, one of the new features on Avid S6 v2.0 software. RSPE Audio Solutions recently supplied Azusa Pacific University with a new Avid S6 Control Surface for use in their Film/TV program. The Avid S6 is now the nerve centre of their 7.1 DTS HD dub stage, which was a 78-seat theatre and screening room that has now been converted into a 7.1 surround sound mix room.